The Marquis Grey Velvet Fabric Bed provides a lavish sense of style to virtually any bedroom, designed to stand the text of time. 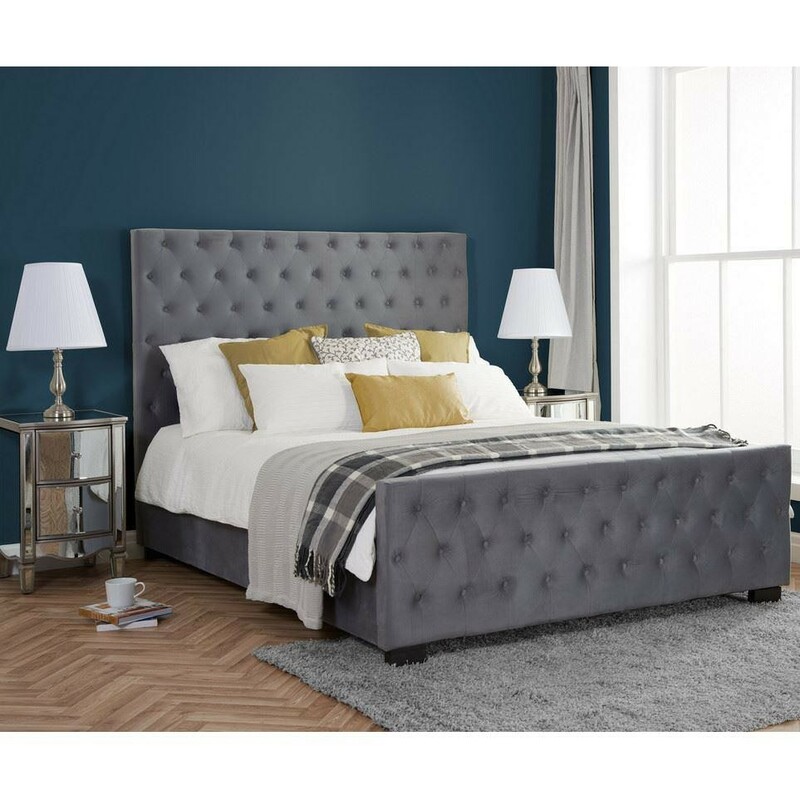 The many features the Marquis Grey Velvet Fabric Bed offers include an abundance of reliably strong materials, a grand and majestic buttoned headboard, an exceptionally sprung slatted base and a stunning grey fabric aesthetic. The Marquis Grey Velvet Fabric Bed is a neutral style that's flexible to any bedroom decor, with the contemporary grey colour welcoming a timelessly stylish two-tone theme. A high headboard adds a luxurious exterior and a sense of security to ensure a good night's sleep for all. This security is matched in spades with style, as the charming grey velvet makes the Marquis Grey Velvet Fabric Bed an exemplary statement piece to any bedroom. The reflective velvet tones add a seamlessly contemporary flair that's sure to brighten up any bedroom. The Marquis Grey Velvet Fabric Bed is constructed from high quality materials and coated with a resistant fabric to prevent damage and help keep it looking and feeling its best. 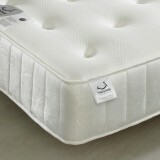 The sprung slatted base encourages a lengthy mattress life whilst adding maximum support for a good night's sleep every evening. The sturdy headboard structure compliments the overall high quality structure of the Marquis Grey Velvet Fabric Bed and promotes a sense of admirable grandeur. Every Marquis Grey Velvet Fabric Bed is delivered flat-packed to ensure an efficient delivery experience. Our simple instruction manuals are provided with every purchase to ensure an easy self-assembly and full guidelines are available online at any time.